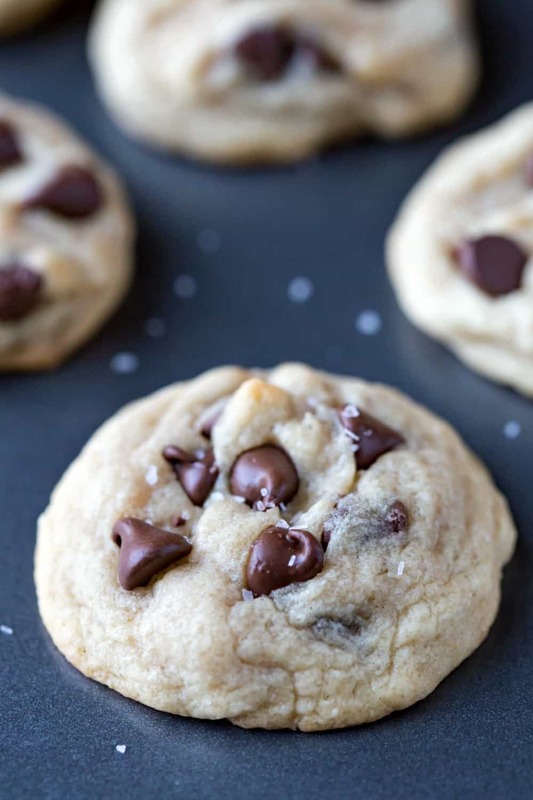 If you want a more decadent cookie try using chocolate baking chips and sea salt instead of normal processed salt. I haven’t got any baking soda can I use a substitute? You could try using baking powder. I haven’t tried it in this recipe, so I’m not sure how it will work out. Also, you’ll need to use a different quantity because it doesn’t sub at a 1:1 ratio. I wish there was a simpler answer for you! Good luck! Awesome recipe. Thank you! The oven and I are not friends at all. This was so easy to make with my 10 year old daughter. Thanks!! Made these tonight with my 2 year old and they are the best cookies I’ve made in a while! Thank you so much! I’m so glad! I love that you made them with your 2 year old! =) My kids like to bake these cookies, and it’s so fun to hear that other people are enjoying it, too. This is not the best cookie I’ve had but very easy! Ok! Well, thank you for commenting! 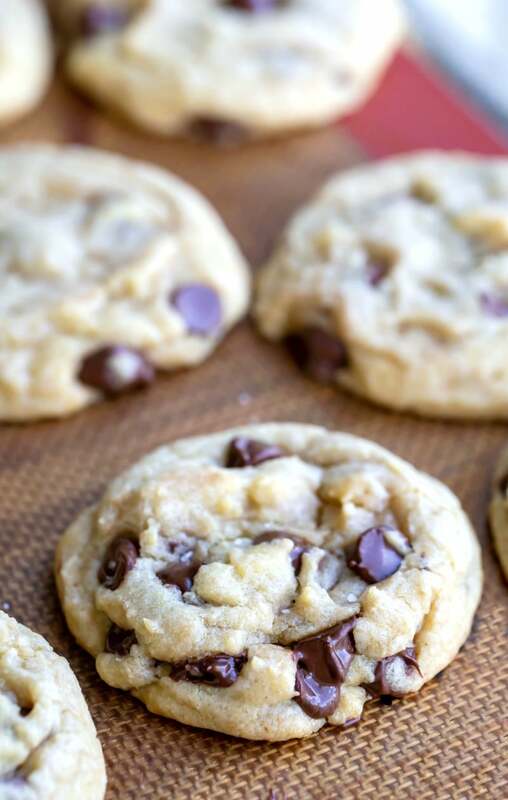 This recipe was so easy and it satisfied my cookie craving. I didn’t have any chocolate chips so I substituted butterscotch chips instead. I’m glad it was too late to do a store run. I 💖 all your videos! Thank you so much! I really appreciate that. =D I’m so glad that you liked the cookies! Thank you for coming back to comment! I made these cookies for a housewarming gift, and they were a hit! They were easy to make and tasted amazing! Thank you! I’m glad that you liked the cookies. =) Thanks for coming back to comment! I’m sorry to hear that! When the cookies don’t spread and stay in a ball, it’s because there was too much flour in the dough. How did you measure your flour? 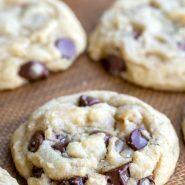 This recipe was so easy and the cookies are amazing! I am comparing cookie sheets for my science fair project and this is the recipe I am using and so far the cookies taste great. I am in love with the recipe. As it said in the title, it is very easy to make, for sure! And I love the fact that it’s only about 7 minutes! I was wondering if I can add a banana to this recipe? Fantastic! I love this recipe. I will never buy store bought cookies again. I made these today to use up a bar of chocolate from my baking box and they were the easiest, tastiest cookies I’ve ever made! No fuss straight forward and delicious! Ok I’ve left a comment before, but I had to come back & update. 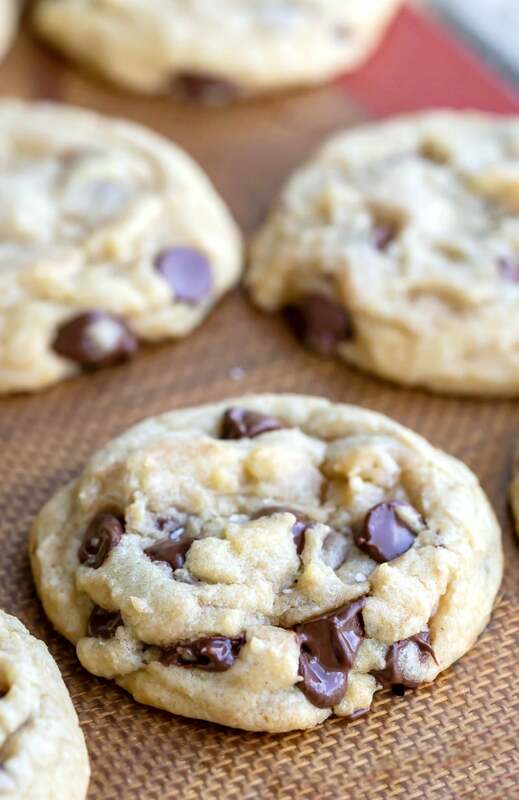 I’ve been using this exact recipe for about a year now & I SWEAR it’s the easiest & best cookie! The part I like the MOST about this recipe is that I have toddlers & this is a pretty straight forward recipe I can let my kids help with. Perfection every time! Thanks so much! Love this!! Thank you! Your comment made my day. =) I’m so glad that you and your family like the cookies, and it’s so fun to hear that people are enjoying the recipes. Thanks again! Thank you! I’m glad that they were easy! =) Thanks for commenting! Chilling the dough really makes the difference! I did mine overnight bc was too lazy to bake them after all day with my infant and cooking. I just made them this morning, they are phenomenal!!! I did 8 mins just like another reader commented-perfect! Soft, spread out, chewy and little gooey. How we like it in my household!!! 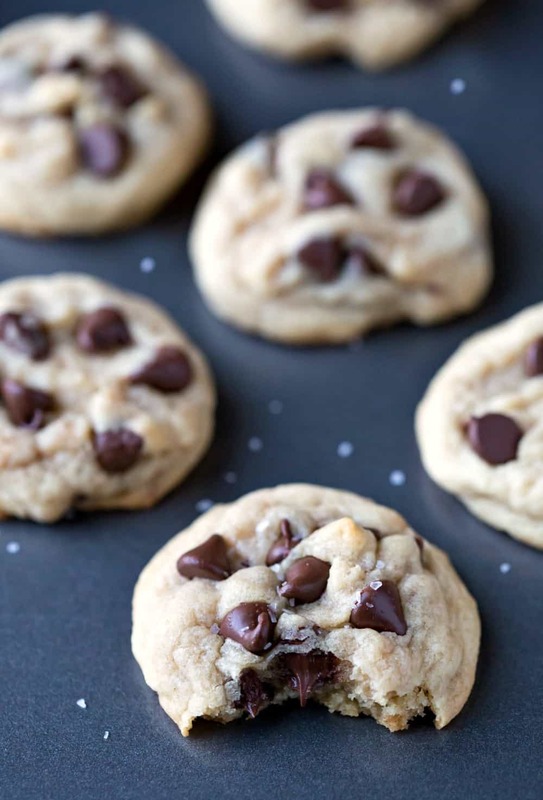 Thank you so very much, finally found a simple delicious chocolate chip cookie recipe. I tried this today and cut each of the sugars. They taste great but I used too much flour and they didn’t spread at all. I have cookie balls! Now I know for next time. Thanks for the recipe. DELICIOUS I accidentally left the cookies in the oven for a couple minutes over, but it was still great!! Thank you! I’m glad that they still came out well! =) Thanks for coming back to comment!